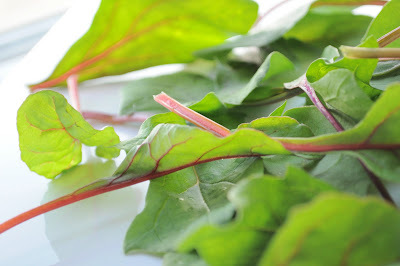 This is my first time seeing (and eating) red spinach. In effort to make everything more colorful in my garden I jumped on ordering seeds for this red veined spinach from Sheepers. I'm really happy with these seeds in particular because they germinate quickly and produce lots! After my first crop (a few leaves above) I took my plants out to plant more seeds, when I really could have cut them all the way back and hope that they may produce more leaves... Oh well I guess it's all part of my learning process.